Cindy Kurman is the founder of an established Chicago-based public relations agency, Kurman Communications, Inc. and is a founding partner of Newsline360, a cloud-based platform for building online newsrooms. 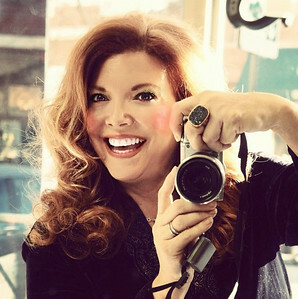 A passionate photographer since studying journalism and photography at Kent State University, she has a keen eye and has for years documented important moments for her clients and for fun. Kurman Photography provides an editorial bent to images, telling the story visually. Specializing in people, events, and food photography, her style consists of colorful and energetic imagery. Understanding media needs has served her clents well as Cindy's photographic work has appeared in numerous national and local publications. She provides a one-stop shop, incorporating creative writing and photography to tell and sell the story. You can reach Cindy at KurmanPhoto@Kurman.com or by calling 312.651.9000. Please Like her at Facebook.com/KurmanPhotography and follow her on Twitter @KurmanPhoto.